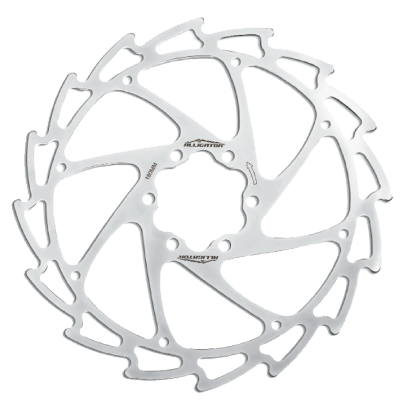 This Alligator Wind-Cutter Disc Brake Rotor is both light and stylish available in a variety of sizes. With great stopping power and fast efficient heat dissipation due to its minimalist design. An easy way to improve the overall look of your bike. 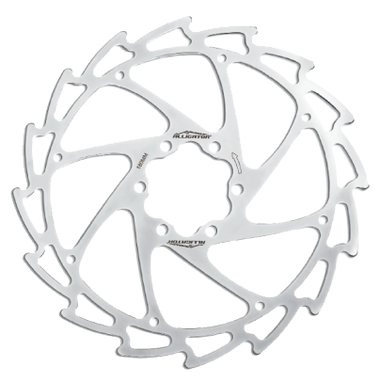 This particular model is available in four-disc diameter options either 203mm, 180mm, 160mm, and 140mm. Material: SUS 410 Stainless steel rotor.